Same happens when I use the Facelight reset greater power. edit 24 January 2018: Put it first (actually, early/high) in my load order and then rebuilt my bashed patch. It works now. i‘ll give that a try, thanks. 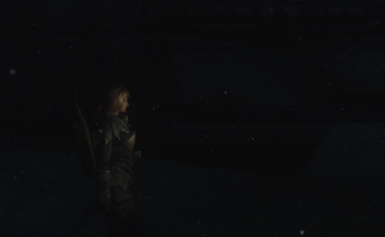 i‘m having the issue that i sometimes get a CTD when i cast the spell again on an NPC .. I just got an CTD when I tried to cast it again on my Follower.. :o For my Character it seemed to work fine. [Edit] User error for not working! I had the disable all lights checkbox checked -.- duh. Wow it works great! Exactly what I have been wanting. My face was always shadowed but now it looks light. Thank you! How to make this face light more bright ? I hadn't even realized it until now. At least it works if the lantern is off though. There was my issue! Thank you. I ca no longer get FL to work, even if I un-equip lantern and toggle FL off. I was able to switch it off and on until fairly recently. Not sure what the cause is or what has changed. FL target, works fine, self, cant seem to get working. Will this mod cause blackface? It's happened to 2 characters I've added to the list now. I have encountered a major issue/bug! I've used the old mod for years, without any issues. Now however, I am experiencing ctd's. Every time I exit a conversation, my game crashes. And yes, I have ruled out that this is the mod causing the issue, as I did a clean install, and then made a new save file with this mod alone. 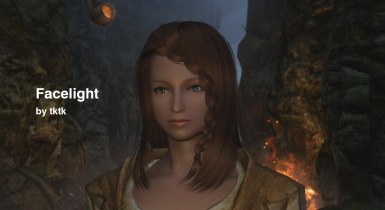 It seems that the NPC facelight is the issue. When I enter a conversation, their face lights up. When I exit the conversation, and their light is supposed to "turn off" again, the game crashes. Any known fixes for this? I would hate not to use this mod. 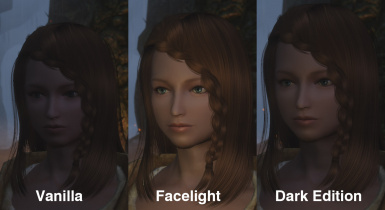 I can add facelight to npc but not to myself.Is there anyway to fix this? Hi, can you add a conversation auto facelight option spell? I prefer using this mod instead of the plus one.